Many of Natural North Florida’s springs are unique. In fact, in our 11-county region, we have the highest concentration of natural springs the world. Many are just “seeps”, bubbling through the rock, but others, like Devil’s Den and Blue Grotto, are downright spectacular! And while many of our springs, especially those in our Florida State Parks, are operated as “swimming holes”, these two geological wonders cater mostly to SCUBA divers and to recreational snorkelers. 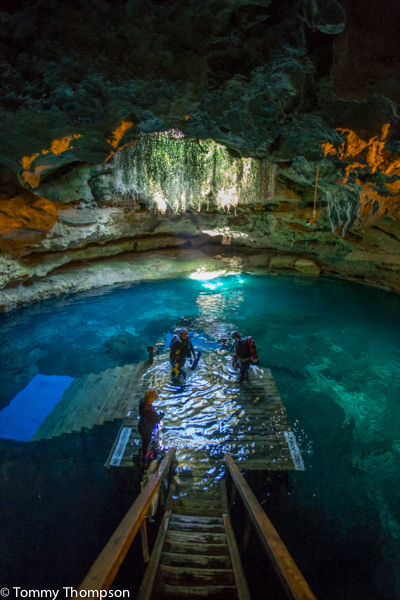 Devil’s Den is a a sunken cavern with a 60-plus foot ceiling. 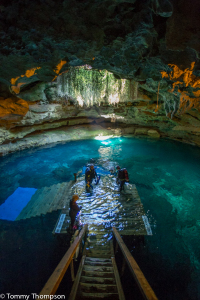 Below, cave divers can explore one of Florida’s most interesting springs. 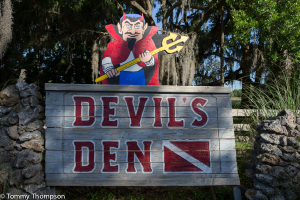 Located just outside of Williston, in Levy County, Devil’s Den Springs is a private facility catering mainly to SCUBA enthusiasts. However, there are open dive times available for snorkeling. 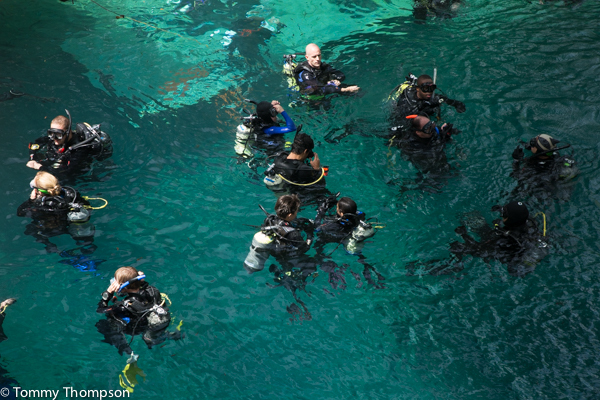 SCUBA instruction is also available through the Dive Shop. Camping and picnic facilities are also available. If you’re not planning to camp, consider staying in nearby Chiefland. There, you’ll find several motels and plenty of good eats. Be sure to plan at least one meal at Bett’s Big T–a great “meat and three” restaurant on US19/98 just north of downtown! 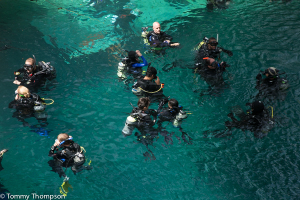 Not SCUBA certified? 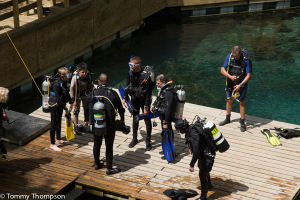 The Dive Shop at Devils Den can hook you up with qualified and certified instructors. 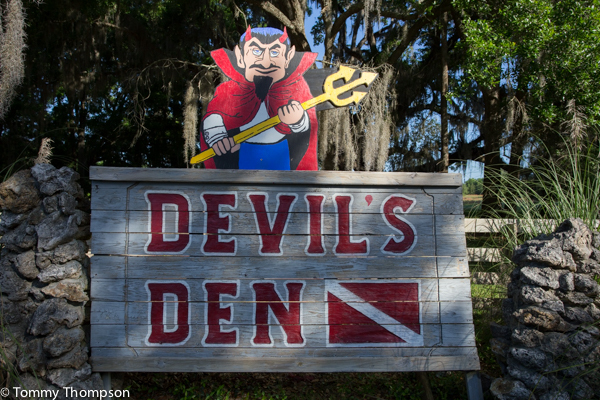 Just down the road, and likely tied to Devils Den by a flowing, underwater river that’s part of the Floridan Aquifer, you’ll come to recently renovated Blue Grotto Spring. 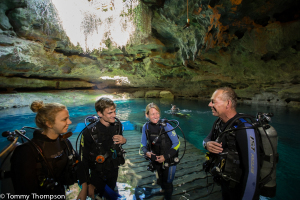 Another private spring, Blue Grotto offers SCUBA and welcomes cave-certified divers. There’s been construction there lately, and if you call ahead, you can rent motel rooms or campsites. You can also bring a picnic lunch or run into nearby Williston for some BBQ or a sandwich at Frog’s BBQ Pad. 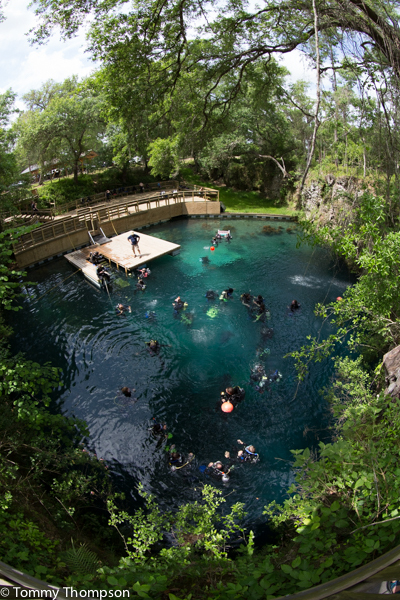 Blue Grotto, in Levy County. Florida, is more than just a small hole in the ground! …or to take dive lessons from a professional instructor!